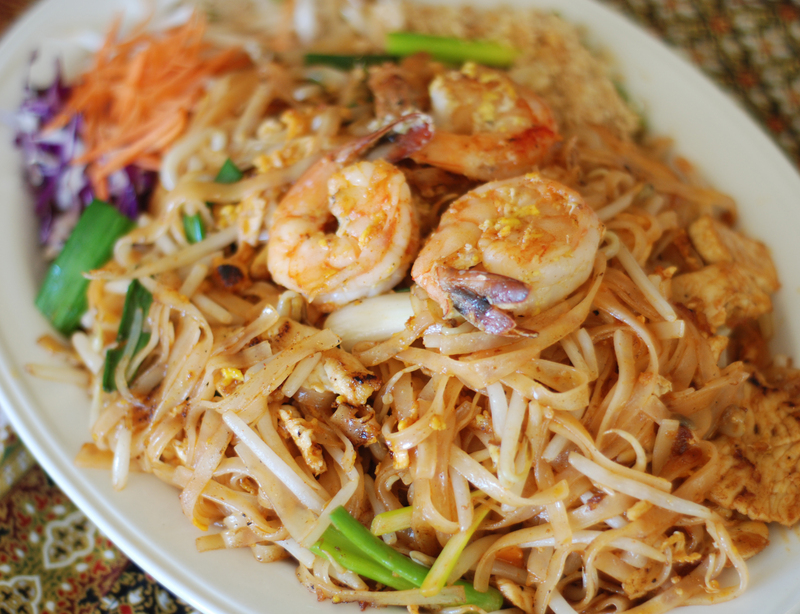 The most popular small & thin noodle stir fried with egg, firm tofu, bean sprouts, green onions, and your choice of meat served with chopped peanuts, cabbage, carrot and lime on the side. Simply and delicious flat and wide noodle with broccoli, carrot, egg and our special sauce with your choice of meat. 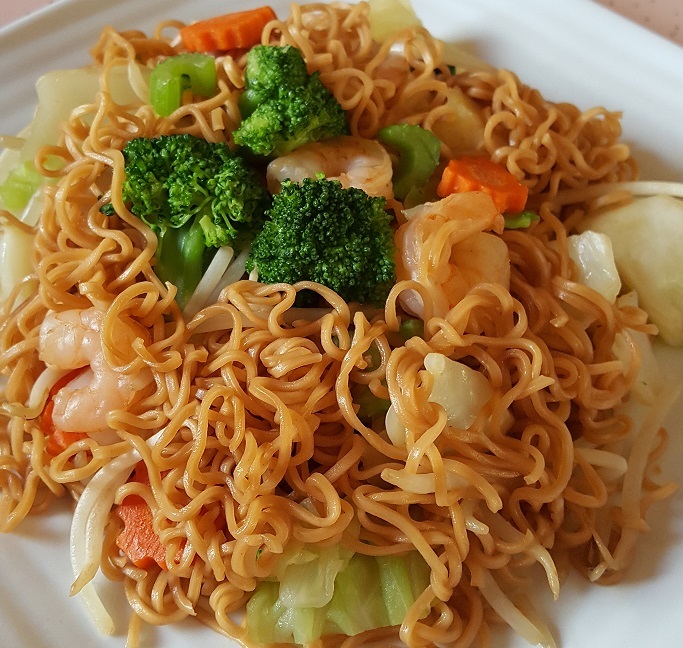 The perfectly healthy yummy one pan noodle with the yellow solf noodle stir fried with loaded vegetables; broccoli, cabbage, carrot, bean sprouts, celery, and your choice of meat. Flat and wide noodle stir fried with green onion, and your choice of meat served on lettuce topped with crispy fried wonton. Enjoy! 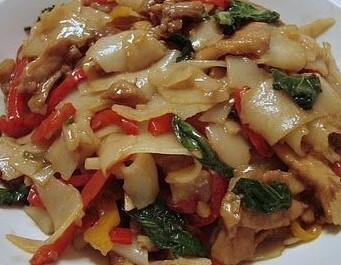 Original Thai spices, with flat and wide noodle, tomatoes, bell pepper, onion, basil leaves, and your choice of meat and level of spicy served on fresh lettuce. 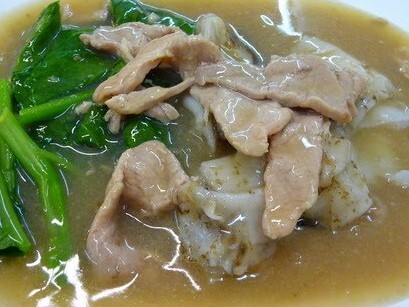 Brown gravy sauce over flat noodle with regular broccoli or Chinese broccoli, and your choice of meat.